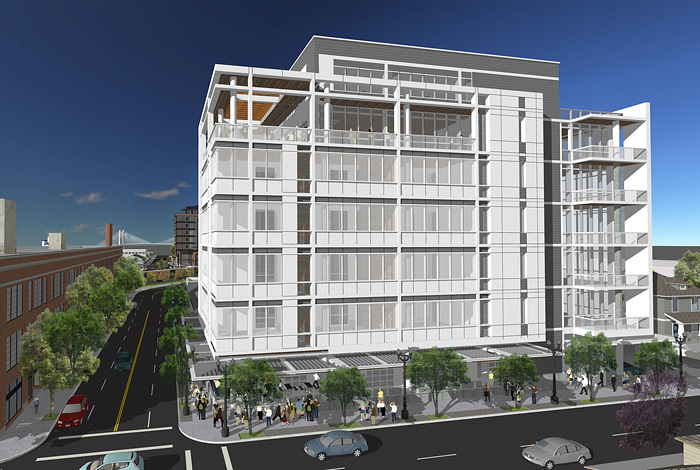 Allied Works’ Platform would include 140,000 SF of commercial office space with retail space on the ground floor. 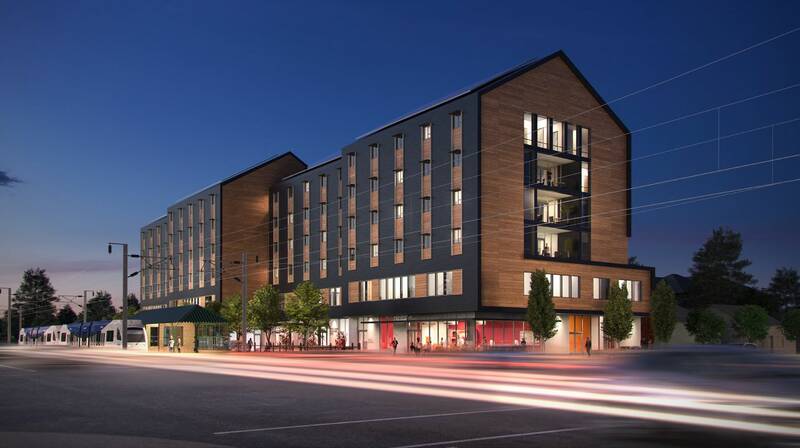 The Daily Journal of Commerce published construction photos of the 72Foster, the four story affordable housing development currently rising in SE Portland. The Portland Business Journal wrote about The Geode, the new creative office project on SE Division by Portland sculptor Martin Eichinger. 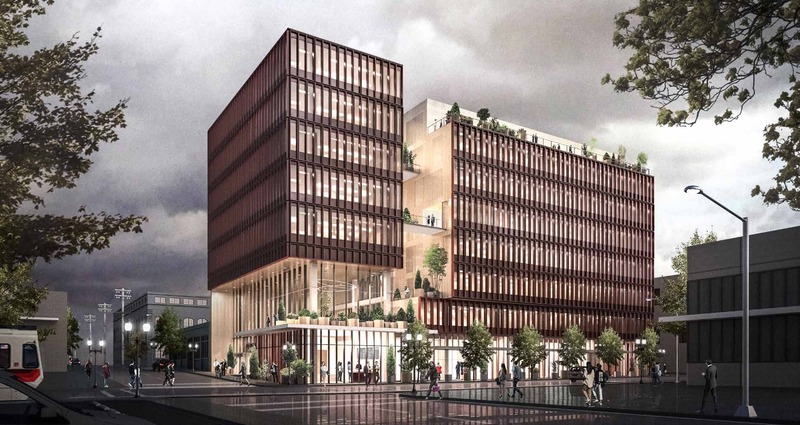 OPB wrote about how Portland State University’s campus is evolving to attract new generation of students, with projects that include Four+Montgomery, the Neuberger Hall Renovation, the Karl Miller Center, and the Viking Pavilion. 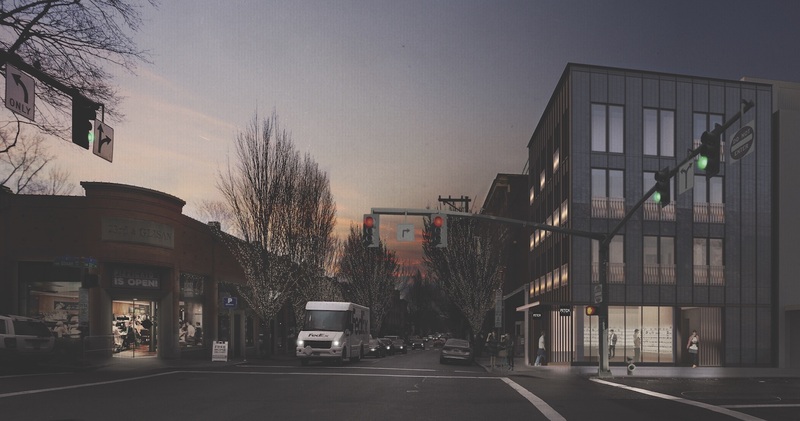 Portland Architecture interviewed Allied Works’ Brent Linden about Platform, the office building proposed for a half block site at 1130 SE Martin Luther King Jr Blvd. 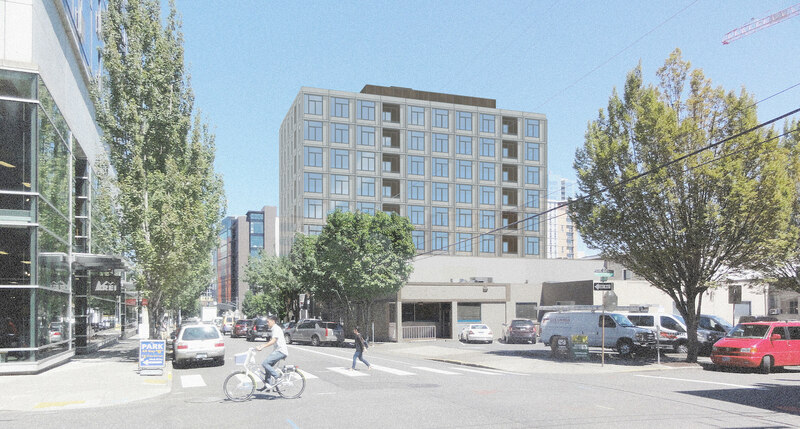 As part of the final deliberations on the Central City 2035 plan the City Council voted to set heights in portions of Chinatown at 200′, reports OPB. 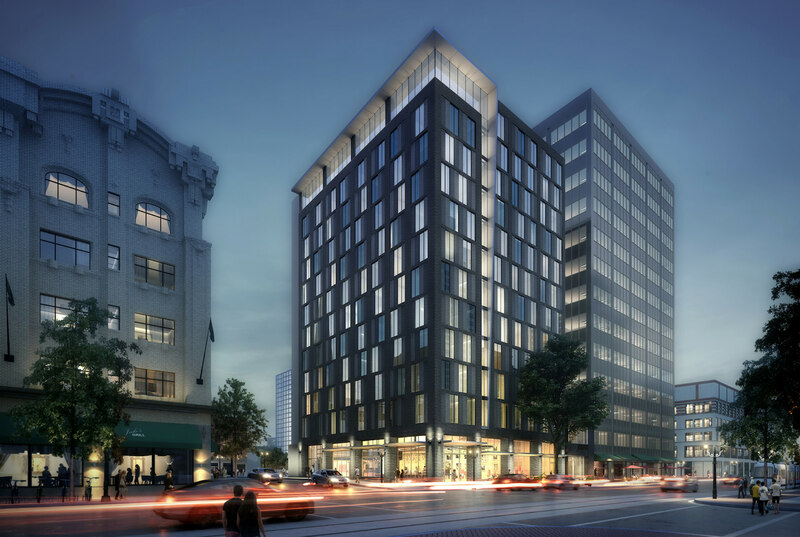 The Design Commission has approved Lovejoy Square, a proposed mixed use building in the Pearl designed by Bora Architects for developer Killian Pacific. The 10 story building would reach a height of 148′-6″ at top of parapet. 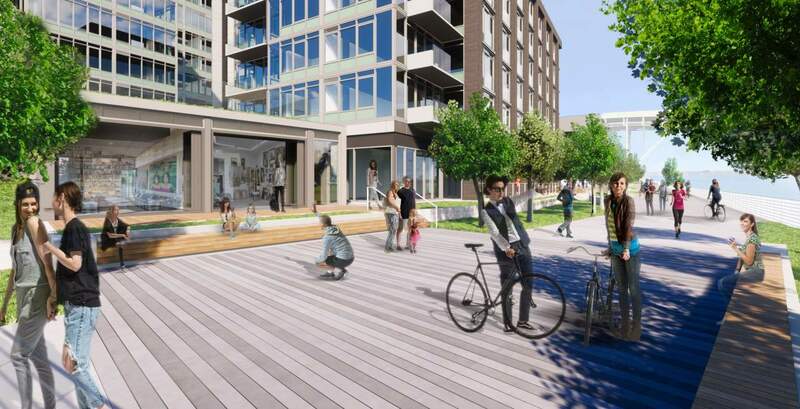 The building will include approximately 7,000 sq ft of ground floor retail, 33,000 sq ft of office space on levels 2 to 4 and 78 residential units at levels 5-10. Two levels of underground parking will provide 70 parking spaces. 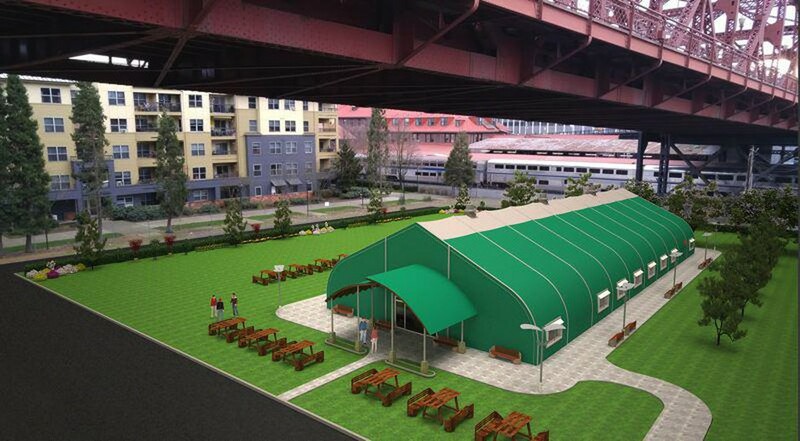 Long term parking for 165 bicycles is proposed.